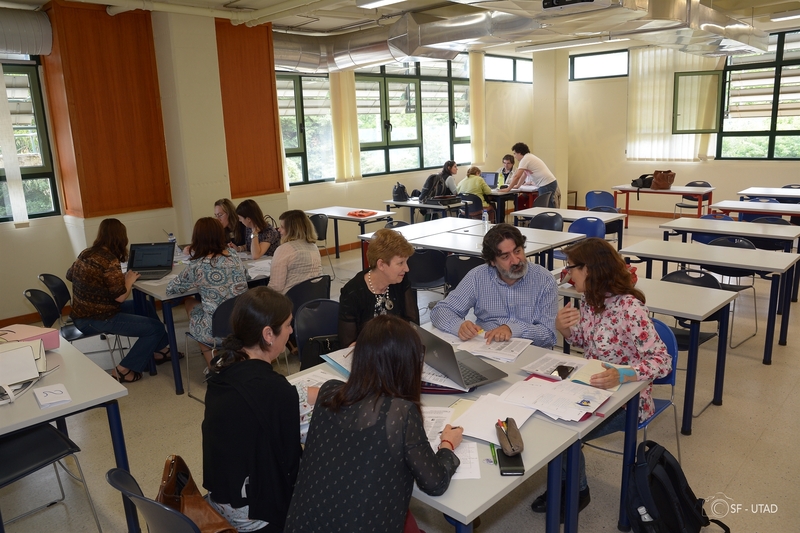 Led by our coordinators from UTAD (Portugal), our transnational training course from Rome on “Guidelines for quality-assurance criteria in critical thinking education” was replicated/adapted in Vila Real, between the 4th and the 17th of July 2018 (see the video below, in Portuguese only). Around 30 university teachers from different fields attended the course. The participants had the opportunity to develop specific skills on Instructional Design, Curriculum planning, Teaching methods, and Learning assessment. They re-designed one of their own courses within their domain-specific knowledge, by integrating strategies and practices to foster and evaluate Critical Thinking skills and dispositions. During the next academic semester, the participants will apply the acquired knowledge in different deployment scenarios. All this work will contribute to the CRITHINKEDU’ fourth intellectual output – the “European guidelines/recommendations for quality-assurance criteria in critical thinking education”. Congratulations to all the coaches and participants from UTAD for the enjoyable moments of learning and exchange in Vila Real.